At Bloom Eye Associates, we realize that contact lens prescriptions are much more complex than glasses prescriptions. 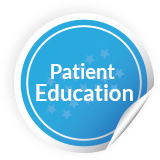 Dr. Andrew Pritchard is a board-certified optometrist who has made contact lens fitting an integral part of his practice. If you have been told that you are “hard to fit” with contact lenses, chances are Dr. Pritchard can help. Daily-wear lenses: These lenses are designed to be put in when you wake up and taken out before you go to sleep. 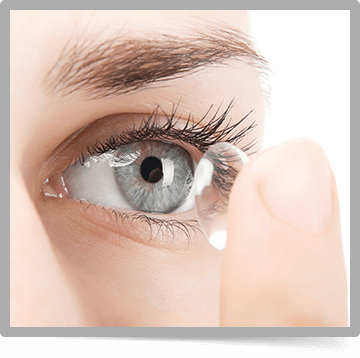 Soft lenses: Made from soft plastic, these lenses offer the ultimate in comfort because they cause less friction on the eyelid. Rigid gas-permeable lenses: These lenses float in the tear fluid, allowing more oxygen to reach the cornea when you blink. Extended-wear lenses: These lenses can be worn longer than 24 hours, even while sleeping, and in some cases, up to 30 days. Good vision, comfort, and the overall health of your eyes depend on properly fitted contacts, which Dr. Pritchard will provide. For an appointment, call our Philadelphia eye doctor at (215) 483-8444 or request one online.